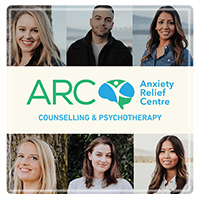 Send A Message To ARC: Anxiety Relief Centre. We are happy to provide a Free 30 Minute Consultation with any one of our therapists. Please click here to visit our website and learn more about how we can help you.We look forwarding to connecting with you!